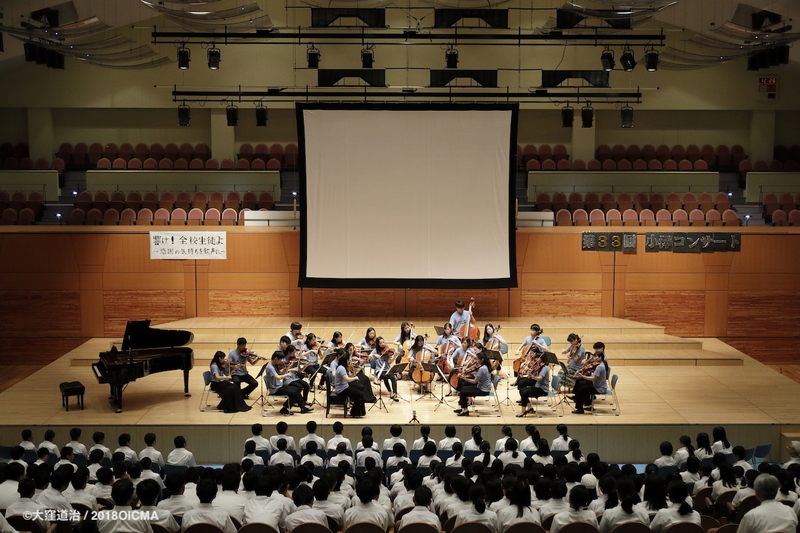 Seiji Ozawa holds “Ozawa Concert” at Yamanouchi Junior High School every summer for young people’s wonderful music experience. 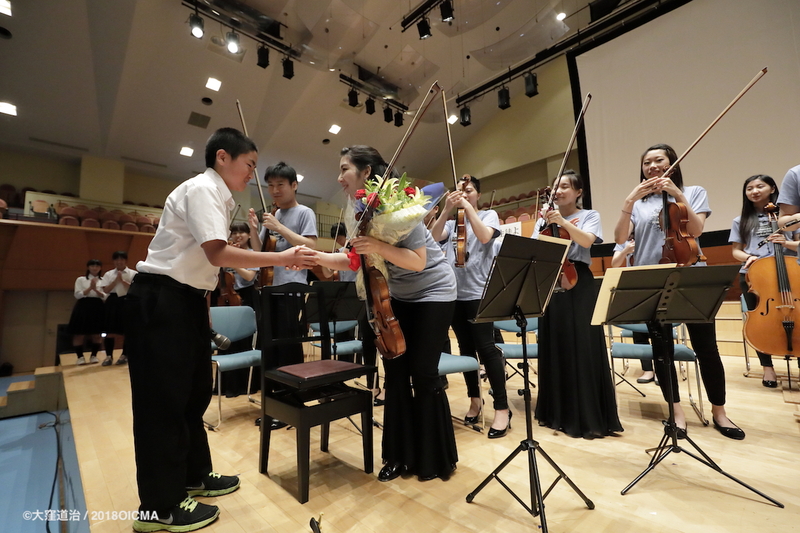 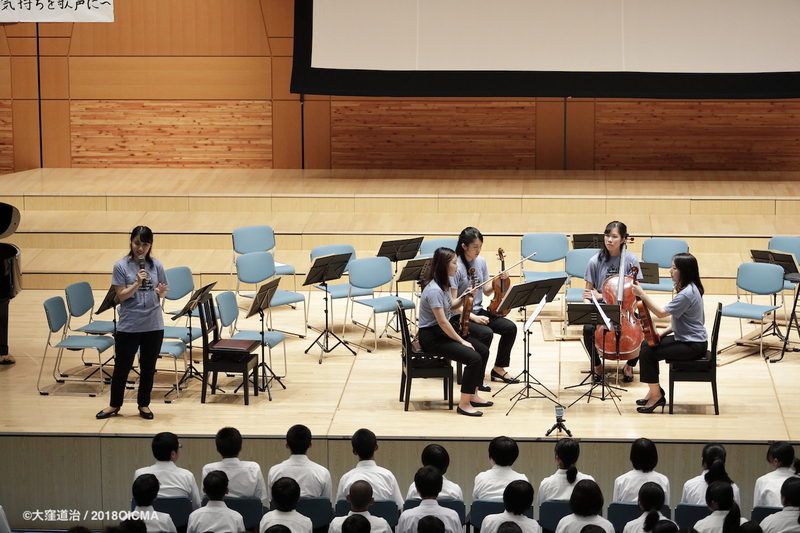 Though he was absent for the 33rd Concert considering the rest of tour schedule, 25 OICMA students performed chamber musical pieces for people of Yamanouchi town. 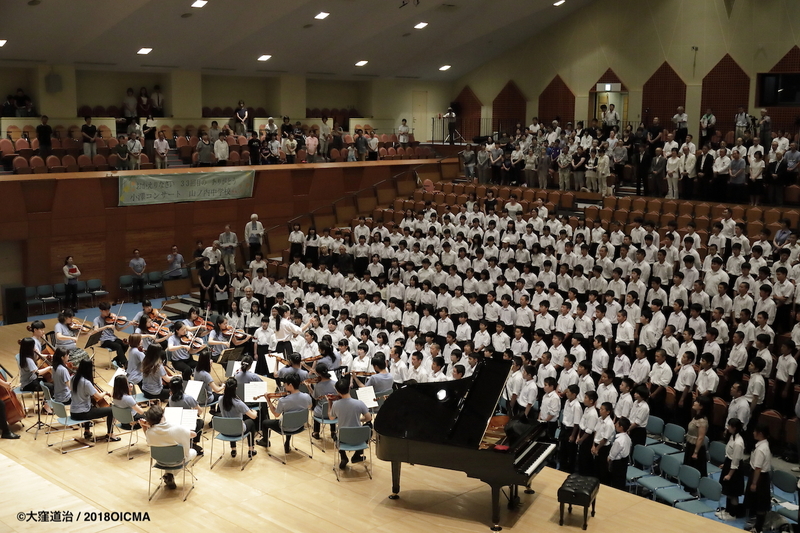 After their performance, Yamanouchi JHS students showed off the chorus of thanks. 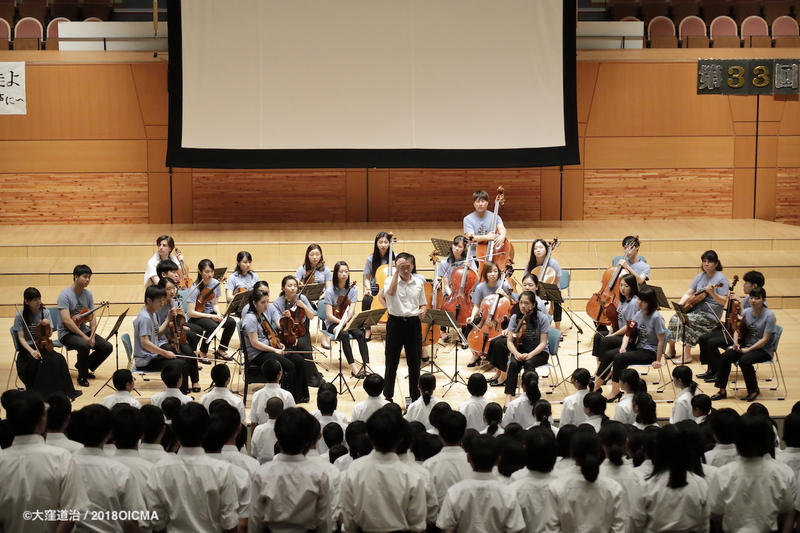 At the end of the concert all the students and audience sang and played the school song together and shared warm atmosphere.